The department comprises four sections: Education, Film and Media Studies, Philosophy, and Rhetoric, each of which conducts research and offers study programmes at all academic levels. A common characteristic of the four sections is the investigation into the basic conditions for human cognition and communication as they find expression in different institutions and media during changing historical and societal circumstances. 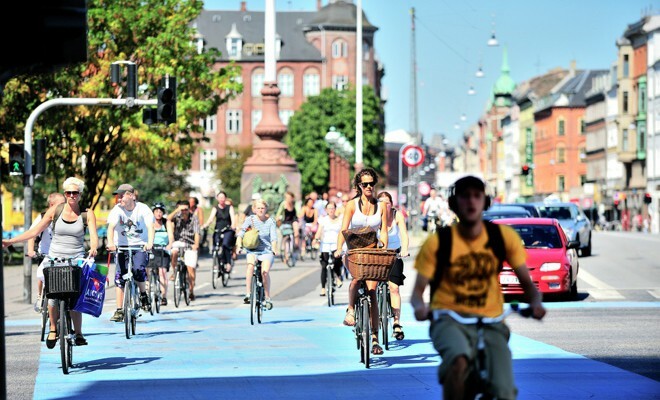 The fast track to Bicycle Culture 2.0. They are a multi-disciplinary “go-to team” for cities in all matters relating to bicycle culture, planning, traffic and communications. They approach every job from the human perspective – using design, anthropology, sociology and common sense as their points of departure. Is a coworking space for creators and entrepreneurs, which offers small creative entrepreneurs, or anyone with a good idea to make it real, the opportunity to meet with clients, create new concepts and develop ideas in comfortable environments. Is the Danish capital city region’s official organisation for investment promotion, business development and cluster growth has the mission to grow business capacity in the Copenhagen region. Is a trade show where visitors can experience a concept that gives them the opportunity for networking and professional inspiration. The concept is based around the five basic tastes as well as seven food-relevant theme areas, among them organic food, tech or innovation. DR is Denmark ’s oldest and largest electronic media enterprise. The corporation was founded in 1925 as a public service organisation. DR is an independent, licence financed public institution. CINC was founded in 2013, based on two PhD projects investigating the neuroscience of creativity. The mission of the institute is to perform further investigations on the neuroscience of creativity – NeuroCreativity – and to use this knowledge in real world creative processes.